Denmark’s Palaces – The Best Castles in Europe? I am admittedly a castle fanatic. 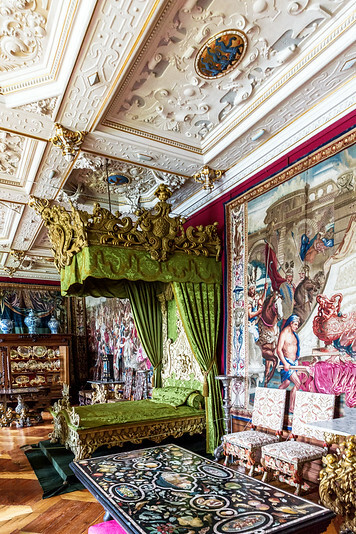 I love period furniture, grand architecture and dramatic court intrigue. Anytime I travel, I make sure to visit any cool castles that may be in the area. Out of all the places I’ve visited, nowhere has had as many enormous or impressive castles as Denmark. Castles in Copenhagen were both larger and more magnificent than I expected. Almost all are completely restored and furnished in period pieces and the decor in each room is so distinctive. I visited 5 Danish castles in total and would definitely recommend visiting each of them – nothing is repetitive about these Danish landmarks! If you do plan on visiting multiple castles in Copenhagen, double check admission times and rates. We purchased a Copenhagen Card to use during our 5 days in Copenhagen and because we planned out our sights and itinerary in advance, we were able to save quite a bit. All of the Copenhagen castles listed below are free with the Copenhagen Pass. Keep reading for 5 of the most beautiful and famous castles in Denmark! 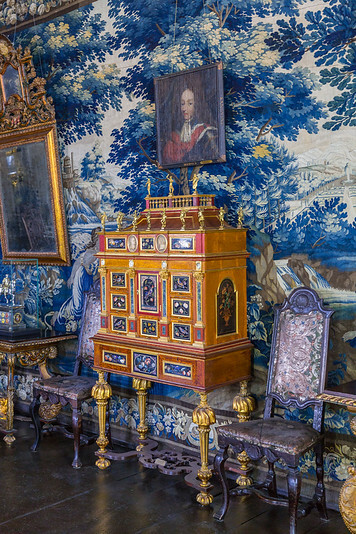 Visit Frederiksborg Castle on a day trip from Copenhagen. This royal residence is built on three islets in Hillerød and has traditionally been used by Danish Kings since King Christian IV of Denmark and Norway in the early 17th century. In 1859, a serious fire destroyed much of the castle and today’s Frederiksborg is the result of a generous reconstruction project funded by brewer J. C. Jacobsen (of Carlsberg beer). 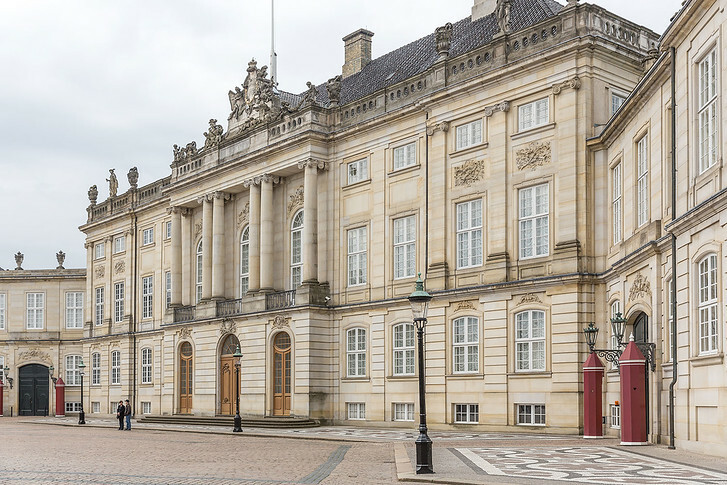 As a result, Frederiskborg re-opened as a Danish national monument and is now the Museum of National History. 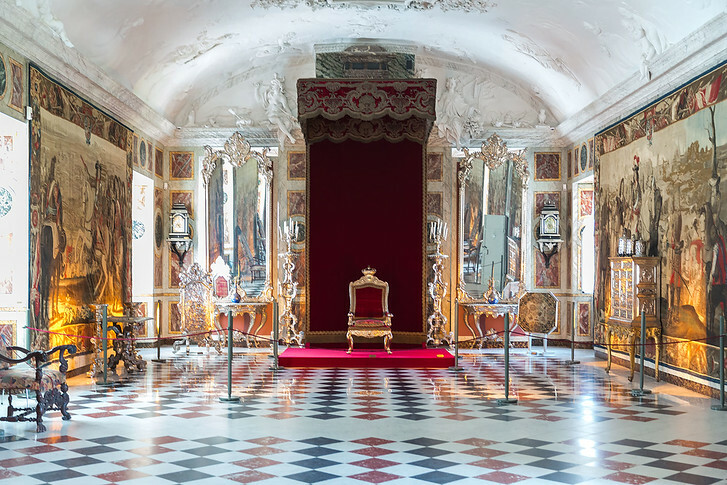 Walking through these beautiful rooms is a step back into Danish history from the Middle Ages to the 21st century, filled with portraits, furniture and decorative art. 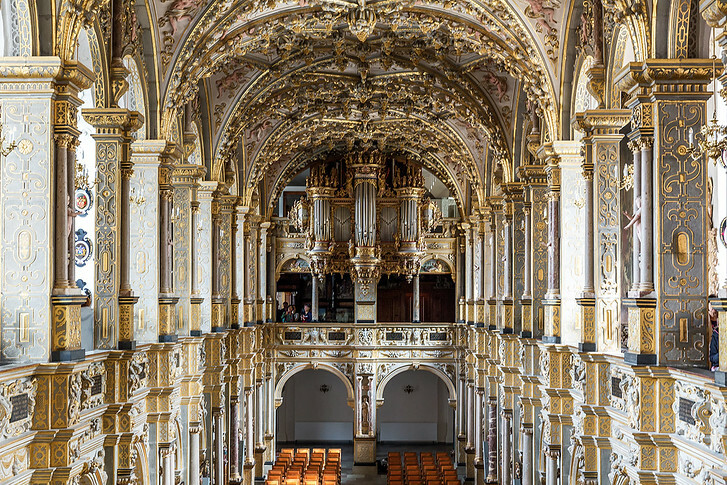 Don’t miss the Chapel and Audience Chamber, an on site church dripping in gold decor, in this palatial complex! Afterwards, hop on one of the small boats and see Frederiskborg in all its glory on the water. You can also check out the extensive gardens which are landscaped as a romantic Baroque-style garden based on original drawings from 1725. Historical flowers have been planted and royal monograms are created in boxwood. Danish children can even visit the old wine cellar and dress up on Renaissance gowns on the weekends. Christiansborg Palace took us a while to find. It’s located on a tiny island inside the city and also contains the Danish Parliament, the Supreme Court and Ministry of State so there are lots of government cars and personnel walking around. 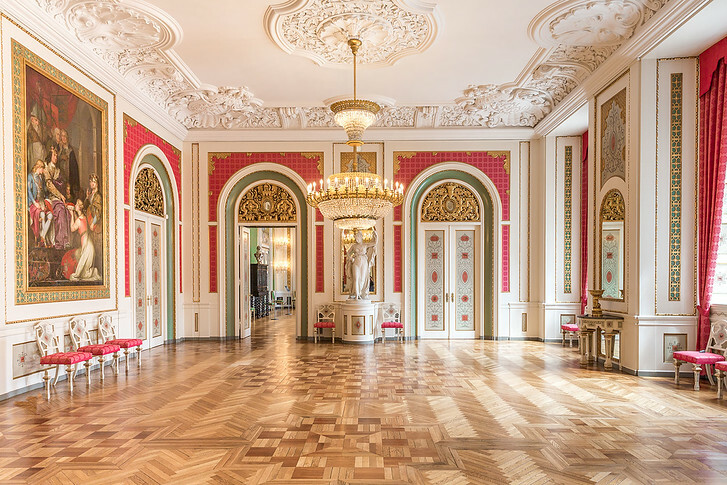 Once you find the right entrance to the Royal Palace, put on some foot coverings and head up the grand staircase for a peek at some of the most glamorous state rooms. 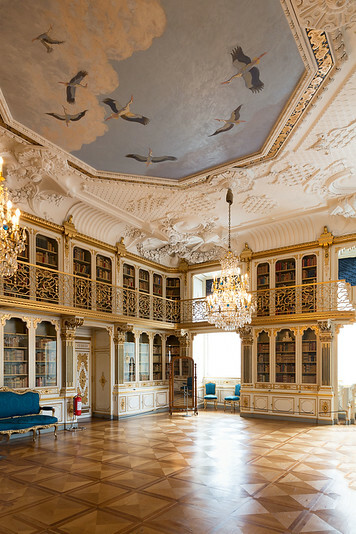 This Danish castle is still used in part by the Royal Family for functions and state events so you’ll find an impressive Oval Throne Room with royal red chairs, a Great Hall with the Queen’s tapestries and stunning checkerboard floors as well as a Library that I like to call the “Belle” room from Beauty and the Beast. Spot how the corners of the library have been turned into tiny elevators to take you to the second floor of books! 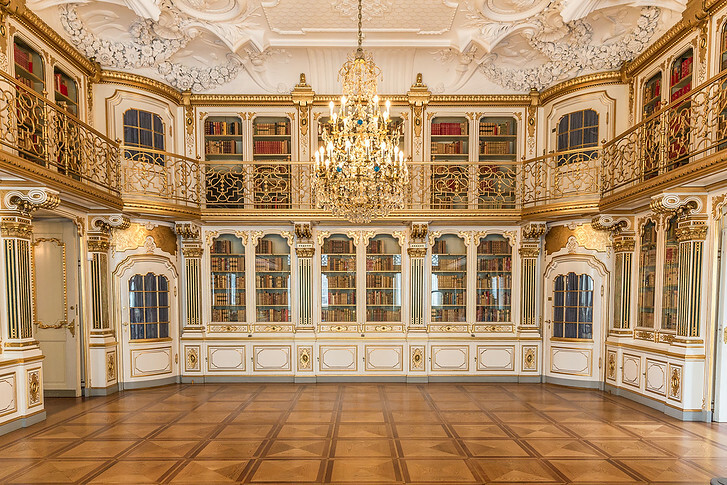 Now that’s one room I’d like to recreate in my own fictional castle. After you’re done oohing and ahhing over the palace rooms at Christiansborg Slot, swing around to the Royal Stables, Ruins and Royal Kitchen. I liked how in the kitchen the pot and pans are motorized to make hisses and spurts at random. There’s even a fake dessert tray! Rosenborg Slot was built by one of the most famous Scandinavian kings, Christian IV, as a Royal Hermitage in the early 17th century. Located in the North of Copenhagen, this was the first castle we visited as it was a short walk from where we were staying in Copenhagen. 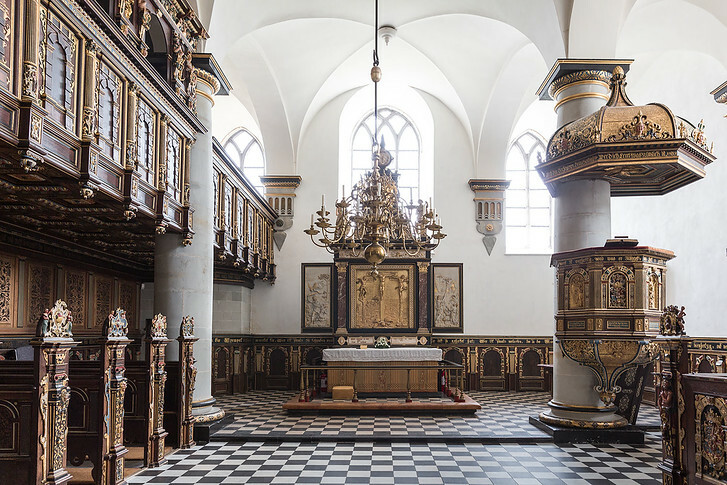 Rosenborg was originally used as the center of royal hunts, so the interior has lots of heavy pieces and intricate wood paneling. Here you can tour the Crown Jewels, royal art treasures and some beautifully decorated interiors from the Dutch Renaissance style. After a couple emergencies hit Copenhagen, Rosenborg was briefly used as a royal residence. Check out the life size silver lions standing guard in the Knights’ Hall, the King’s bathroom (lol) and a tower chamber filled with Venetian glass. Around the corner, you can also see Denmark’s crown jewels which are kept in a temperature controlled vault. The castle grounds are also famous, as Rosenborg Castle Garden is Denmark’s oldest royal garden (it was built before the main castle was even constructed). It looked like lots of locals visit to hang out and enjoy the sunshine. Kronborg Castle is frequently called Hamlet’s Castle because it’s the exact one Shakespeare set his famous play in! The Denmark castle is located outside Copenhagen in the town of Helsingør, which Shakespeare called Elsinore. For 400 years, Kronborg occupied a strategic coastal position where the owner could control entrance to the Baltic Sea. With rooftop guns pointed directly at ships on the Sound, sailors paid their dues to Denmark’s kings and the castle became one of the most beautiful during the Renaissance. After a fire and Swedish attack destroyed the castle, Kronborg became a barracks for the Danish army. Inside, the medieval fortress is clean and minimalist – it’s the crypts and catacombs below which are extra creepy! Make sure you wear solid shoes if you want to explore the crypts, as the floors are uneven, unpaved stone. It’s also pitch black. If you keep exploring in the dark, you’ll find a huge white statue of Holger, a mythical Danish figure. I got in and out of the crypts as quickly as I could – it is seriously creepy. We actually entered with a couple of other tourists and about 10 minutes in, they chickened out to head backwards to the entrance! Afterwards, check out Hamlet Hall where you can see all the actors who have played Hamlet over the years. 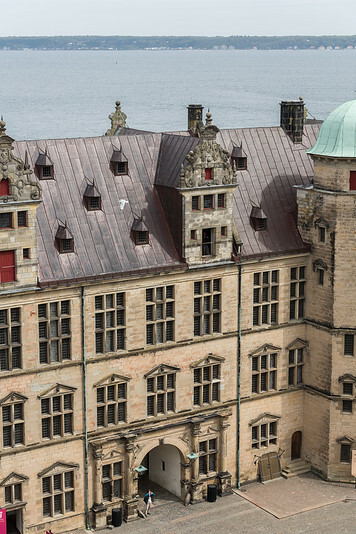 In summer, Kronborg Castle has live Shakespeare performances! 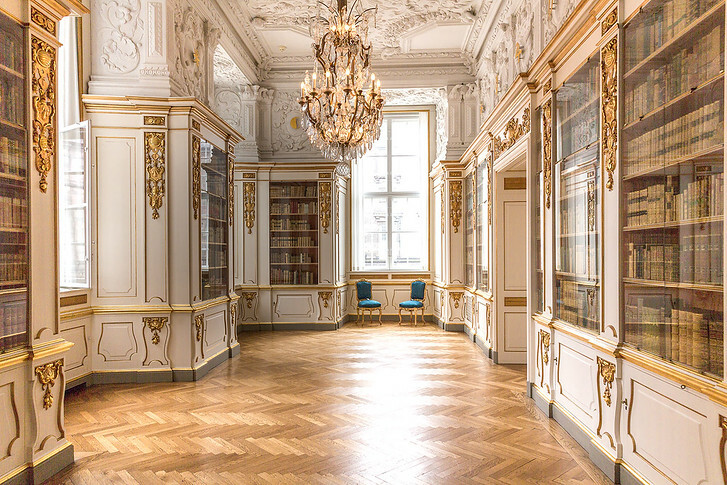 Amalienborg is perhaps the most bare bones Danish castle in Copenhagen, but for good reason. The Danish royal family currently lives in Amalienborg so much of the wings are private. Four identical classical palaces are built around an octagonal courtyard, one for each of the four noble families who lived here. When Christiansborg burnt down in 1794, the royal family purchased Amalienborg and moved in. 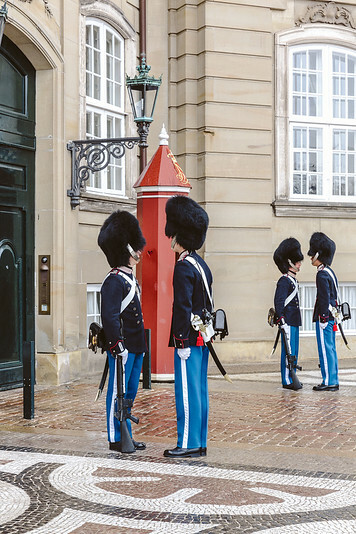 The main reason to visit Amalienborg castle is to see the Royal Guard, or Den Kongelige Livgarde. The changing of the guard occurs each day at noon, when you can watch them march from their barracks near Rosenborg Castle, through Copenhagen’s streets, to Amalienborg. Inside the museum, you’ll find lots of preserved moments in history, from famous royal gowns to royal mementos. The signs focus on Christian IX and Queen Louise who were called “the in-laws of Europe” since four of their children became regents of England, Greece, Russia and Denmark. And that’s 5 of my favorite palaces in Copenhagen, Denmark. Which Copenhagen palace would you choose to live in?